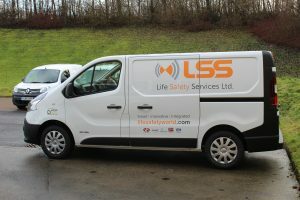 The newly launched Life Safety Services (LSS) fleet is the latest phase of the company’s rebrand. 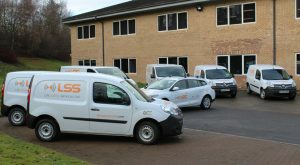 The company recently took delivery of their newly branded LSS vehicles with two Renault Traffic vans, four Renault Kangoos and a Renault Megane estate. The firm, formerly known as Advanced Fire and Security, were rebranded in November 2016 as part of ongoing growth and investment and the new fleet is the next step in establishing the brand in the marketplace. 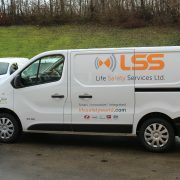 Now, with their new fleet of vehicles on the road, LSS is better placed than ever to further enhance their growing reputation as one of the UK’s leading companies for providing a comprehensive range of life safety and security products and services.